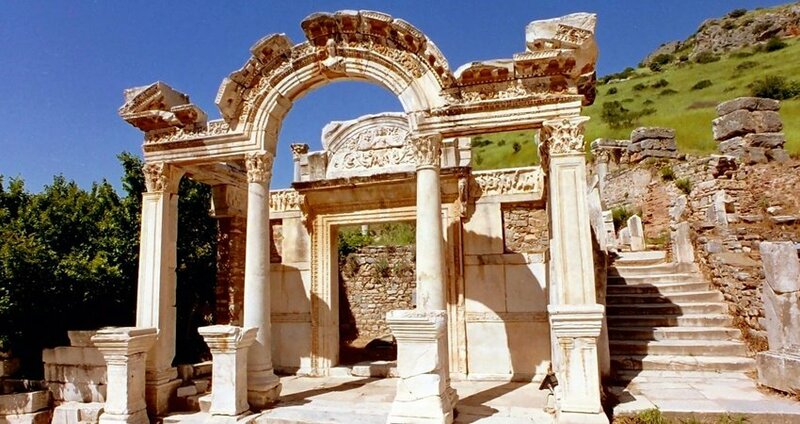 If you are passionate about history and culture then you should definitely participate in the Izmir Ephesus Tour. 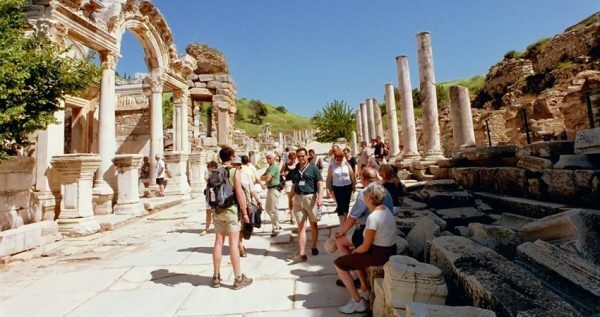 With this full day excursion you will have the opportunity to visit the ancient city of Ephesus as well as other interesting religious and cultural points of interest. 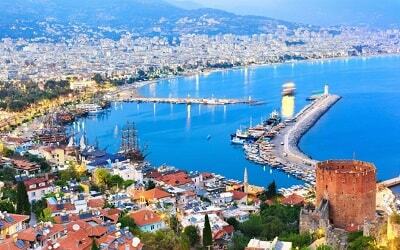 Enjoy an exciting and informative excursion and make you holidays in Izmir a memorable experience. Izmir Ephesus Day Trip starts during the morning. A comfortable, modern and fully air-conditioned vehicle will pick you up from your hotel in İzmir. 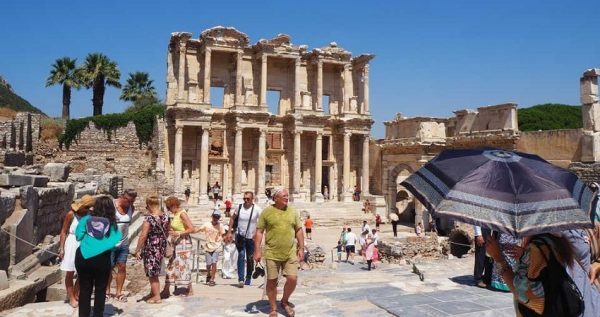 The bus will drive you towards Ephesus which is approximately one hour from İzmir and during the ride you will be accompanied by a tour guide. The professional and experienced guide will be in charge to assist and make your excursion a memorable, exciting and informative experience. In addition, the guide will provide important information regarding the places that you are going to visit. The ancient city of Ephesus will impress you as it has a vast variety of ancient sights. 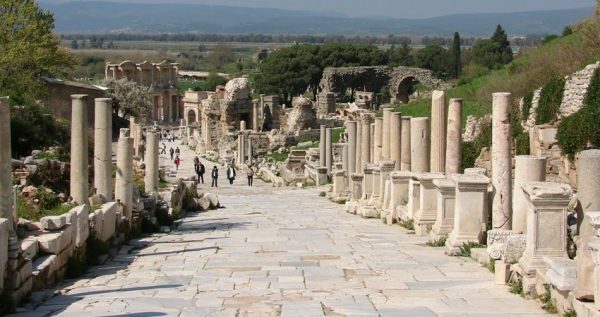 Ephesus is home to one of the seven wonders of antiquity, the Temple of Artemis. 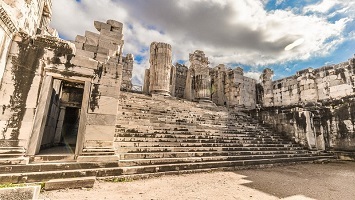 In addition, many other important places such as the Hadrian Temple, the Library of Celsius, the Grand Theatre, the Roman Baths, the Agora and the Latrina can be found there. 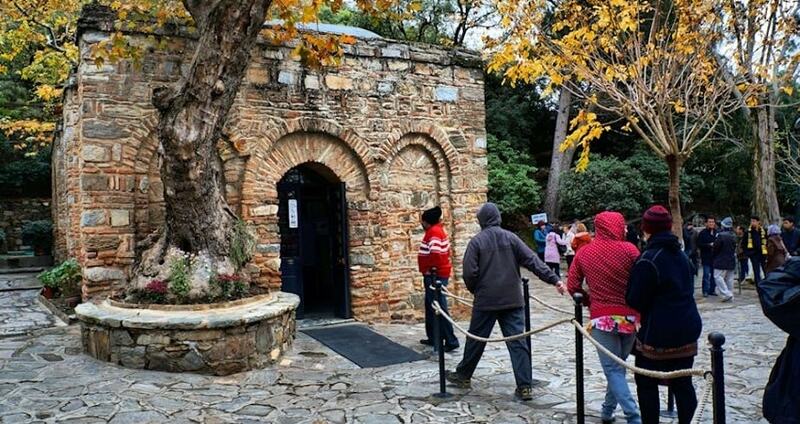 Your guide will provide a detailed description for all the important sights of Ephesus. 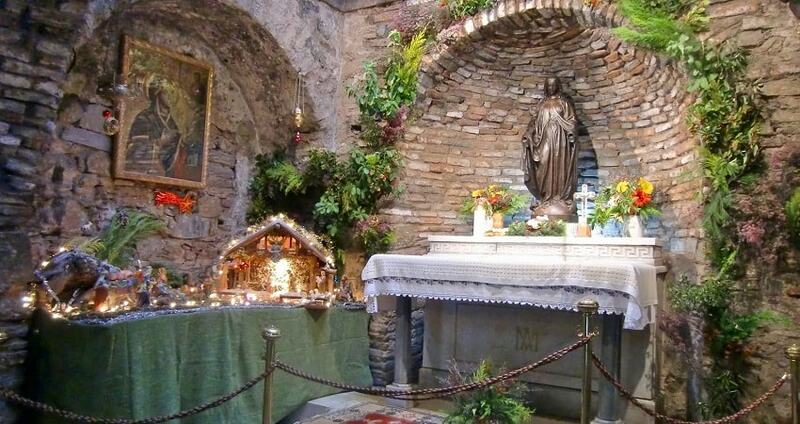 A stop is scheduled to be made at the House of Virgin Mary. 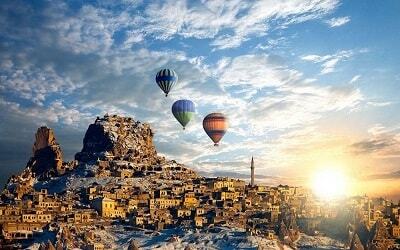 It is located at Selcuk, on the top of the Bulbul Mountains. The house is surrounded by trees and forms a landmark monument for the Christian population, as Virgin Mary spent her last days there. After that, a lunch break follows at a local restaurant. You will enjoy a freshly made and tasteful open buffet and you will take some time to relax. 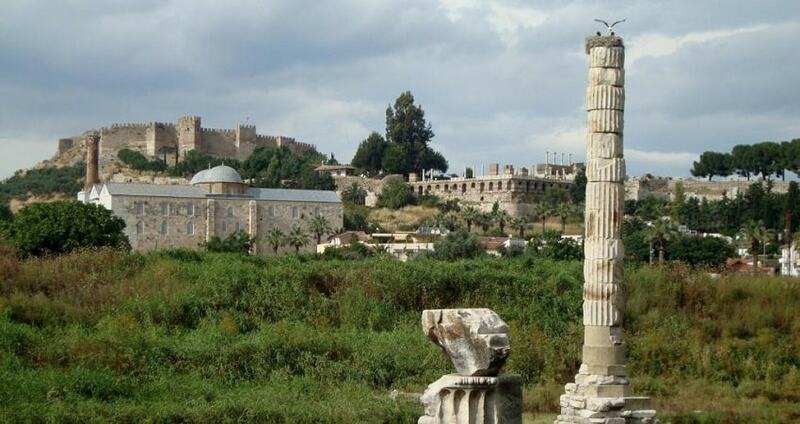 Another stop will be at the famous Temple of Artemis, which is one of the seven wonders of the ancient world. The Temple was built during the Hellenistic period however, during the years the monument suffered extensive damages. Today, visitors can observe and admire the ruins of the temple. Your excursion continues with a visit to Isabey Mosque which is one of the best examples of the Seljukian architectural style. Due to its interior and exterior design the Mosque showcases an imposing atmosphere. The last stop of Izmir Ephesus Tour will be at the Sirince Village which is a great example of Greek and Turkish culture. There, you can observe typical Greek houses, a church and handcrafts of all types made by the locals. Right after this short break, the bus will continue on its way back to İzmir. Your excursion finishes once you arrive back at your hotel. 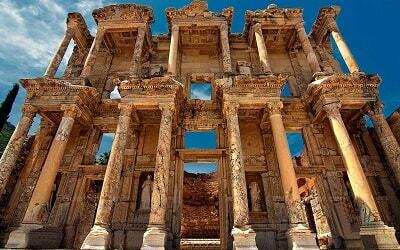 By the end of the day you will be full of great memories and Ephesus day trip will be an incredible addition to your holidays. 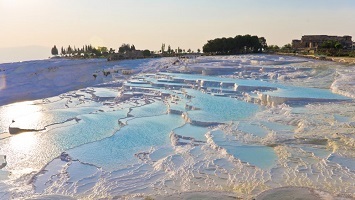 If you plan to visit Pamukkale within your holiday, you may like to check our Pamukkale Tour from Izmir. Discover the history, the secrets and the charm of an ancient city by participating in Izmir Ephesus Tour. Sightseeing, religious monuments, amazing landscapes and cultural elements are all combined in this interesting and exciting exploration. 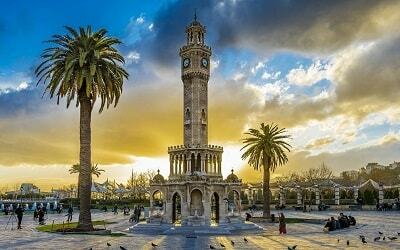 Enrich your holidays in Izmir by adding this full day exploration that will create long lasting memories. 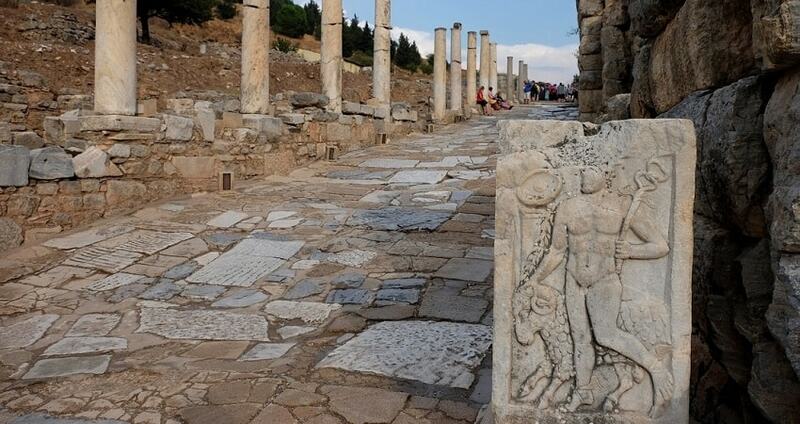 The Izmir Ephesus Tour is scheduled to start during the morning. A modern and comfortable bus will pick you up from your hotel in Izmir or from İzmir Airport and drive you towards Ephesus. The road trip will be approximately one hour. During your excursion, you will be accompanied by a professional tour guide who will be in charge to assist you. The experienced guide will also be in charge to explain everything you need to know in every stop of your journey. The ancient city of Ephesus forms one of the most important and popular attractions in Turkey. It hosts a number of important monuments from the Hellenistic and Roman periods. These monuments include, among others, the Hadrian Temple, the Library of Celsius, the Grand Theatre, the Roman Baths, the Agora and the Latrina. Ephesus is also home to the infamous Temple of Artemis. As you will be touring around the ancient city, the guide will provide important information for every monument. At a close distance from the ancient city of Ephesus, there is another place of interest which is the House of Virgin Mary. Surrounded by a quiet and beautiful landscape, this house was chosen by Virgin Mary to spend her last days there with St. John. This location has enormous interest for the Christian population. Take a chance to admire nature and observe the spectacular setting while you are there. Izmir Ephesus Tour continues with a lunch break at a local restaurant in the area. Relax and enjoy a tasteful open buffet with a variety of choices. The ancient city of Ephesus is mostly known for hosting the Temple of Artemis. This temple is listed among the 7 wonders of the ancient world due to its impressive size, design and importance for the area. It was constructed during the Hellenistic period and nowadays, visitors are able to observe and tour around the ruins of the temple. The full day trip to Ephesus continues with a visit to Isabey Mosque. The mosque demonstrates an interesting character due to its majestic Seljukian architecture. The guide will explain everything you need to know about the mosque and its interior design. 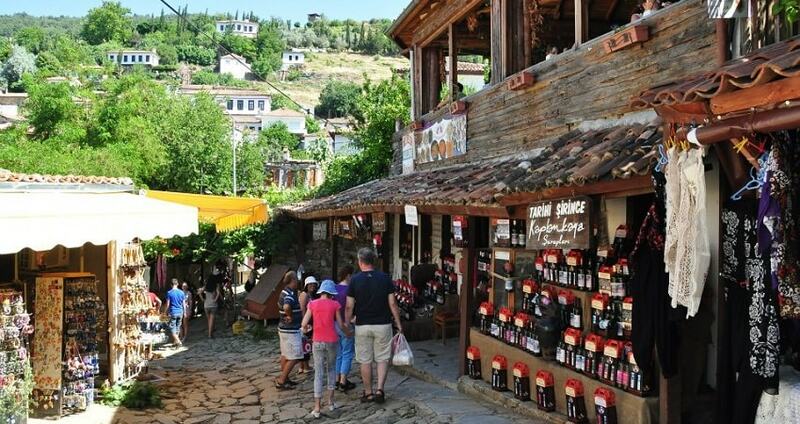 The last stop of your excursion will be at the Sirince Village. 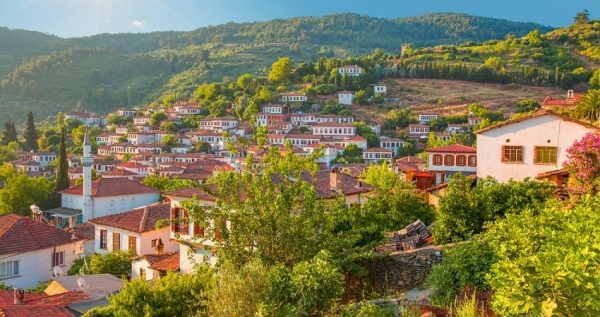 This village is known as a great example of mixed Greek and Turkish culture. 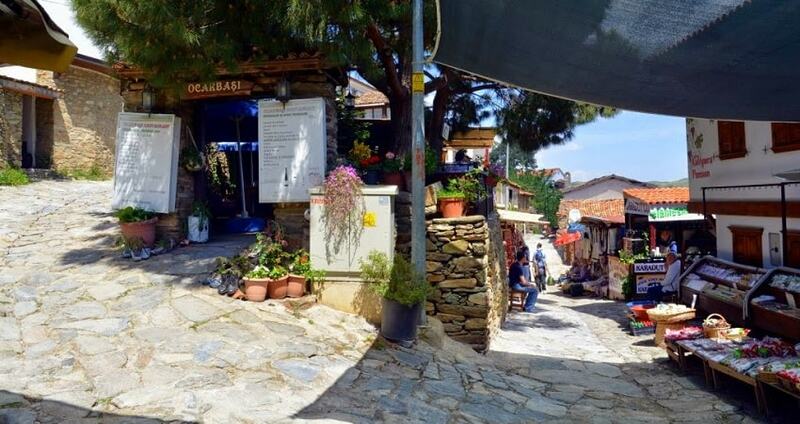 Walking around the village is a great opportunity to observe houses with Greek architecture, churches and explore the shops that are selling handcrafts of all types. As this is your last stop, the bus will continue on its way back. After one hour, you will arrive at your hotel. 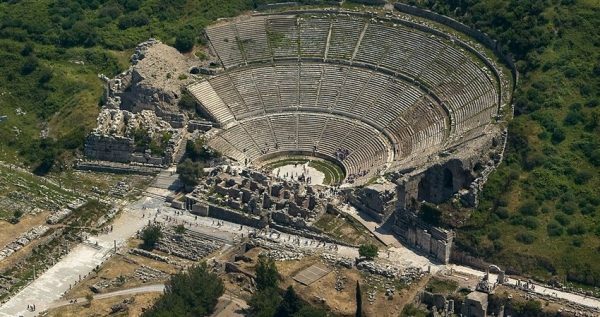 This day trip to Ephesus will be a memorable experience in your holidays.